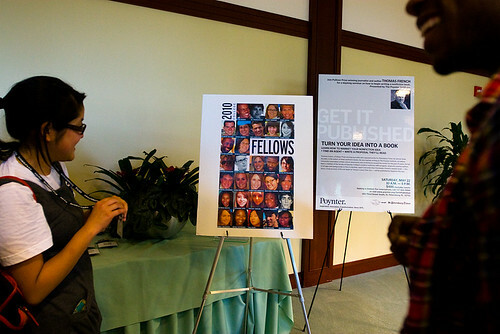 ST. PETERSBURG, Fla. — Today was our first day of the 2010 Poynter College Fellowship program at The Poynter Institute for Media Studies. By “our,” I’m referring to 31 other college students/recent graduates as well as myself. This means that I’ll be learning with and from 31 other young journalists for the first two weeks of summer in Florida. The view from the Poynter parking lot isn't too shabby. This is why I missed my own graduation ceremony on Saturday evening: to arrive at Poynter on time. 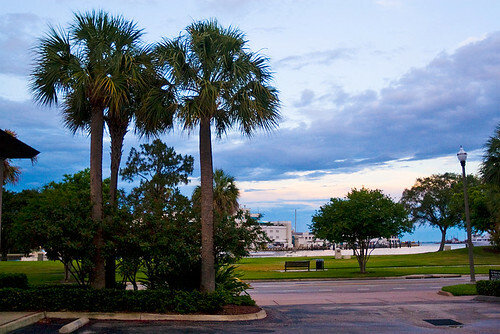 We get 24/7 access to the Poynter building, its beautiful facilities and its many resources. 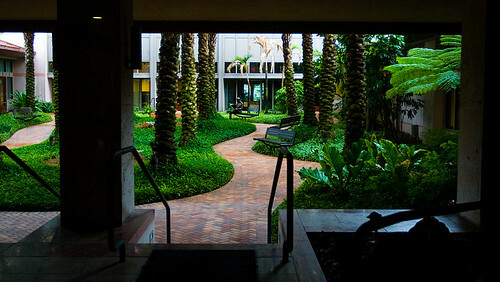 Just part of the Poynter facilities. We’re working alongside and learning with/from some really talented journalists. 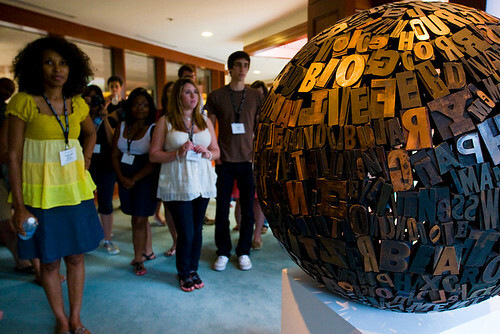 This is a sphere made of printing blocks. Try and figure out the words spelled out. And we’re all pretty excited to be here. The sign that greeted us as we arrived this afternoon. Sara and Al have promised us a rigorous two weeks here that may or may not involve a few all-nighters, so I’m not sure how much I’ll be tweeting and blogging over this period of time. But I’ll do my best. But I’m here to learn — so that comes first. And, of course, I’ll try to continue posting spring break film (gulp).